The history of CADS Enhancement Centre ( CEC ) started way back in 1999 when a group of 10 parents enrolled their children in Nury Elementary School. Nury Elementary School was founded by Dato’ Dr Noor Laily binti Dato’ Abu Bakar ( owner of The Nury Institute of Family and Child Development ). Dato’ Dr Noor Laily wanted special children to learn in a conducive environment together with mainstream children. Hence, the concept of an inclusive school was started. At that time, 60% of the students were from the mainstream whereas 40% were children with special educational needs. Unfortunately, in 2003, due to management and financial difficulties, Nury Elementary School ceased its operation. However, a group of parents, whose children have benefited greatly from the program decided to save the school and named it Semarak Elementary School. 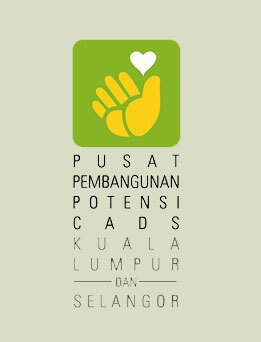 They formed a society called “ Pusat Pembangunan Potensi CADS” to ensure the smooth running of the school. A committee was formed to manage the school. The school moved from its original premise at Bukit Antarabangsa to Jalan Semarak in Kuala Lumpur. A year later, the name “Semarak Elementary School” was changed to “CADS Enhancement centre”. To date, CEC has moved to a new premise at JKR 2925, Persiaran Ledang, Jalan Duta.